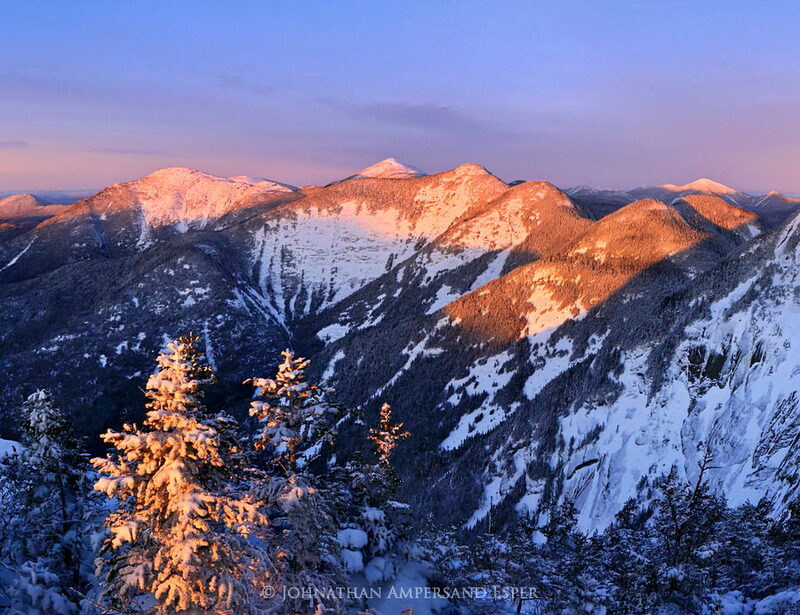 Pyramid Peak winter sunrise alpenglow on L-R Haystack, Mt Marcy, Basin, Saddleback, and Algonquin Mts. . Photo © copyright by Johnathan Ampersand Esper.